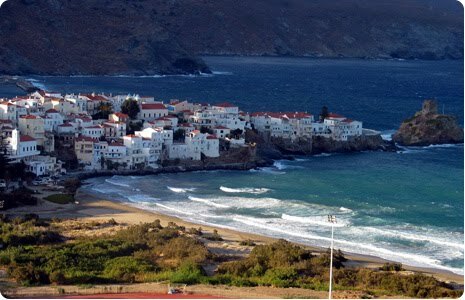 The Cyclades archipelago is situated to the south of the Aegean Sea within close reach from the Greek capital city. The ancient name for this cluster of islands derives from the circle (“cyclos”) they form around the holy island of Delos, thought to be the birthplace of gods Apollo and Artemis. 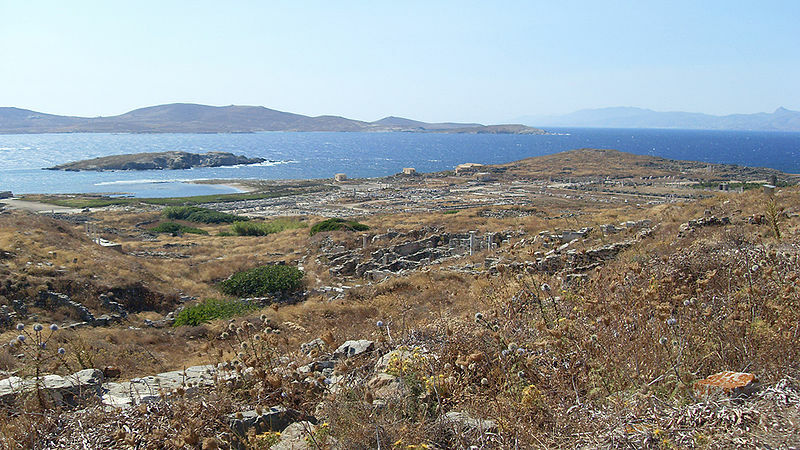 Still not inhabited today, Delos is an important archaeological site. An exceptional journey can be planned during the summer full-moon nights. 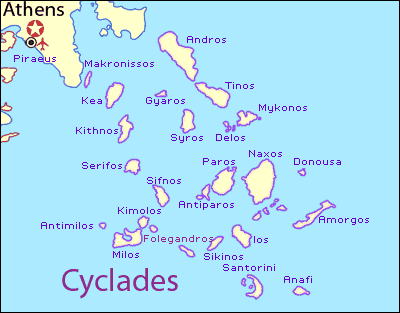 Cyclades aregenerally divided to the north and south of Delos. 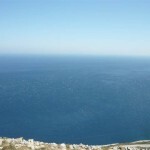 In the north there are bigger islands and one of them (Syros) is the capital of Cyclades. 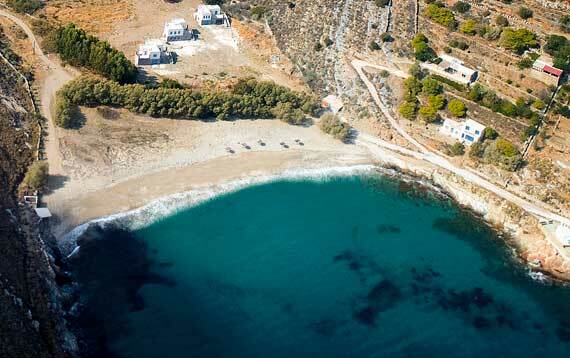 The south includes more and also smaller islands, the ones close to Naxos being called “Small Cyclades”. 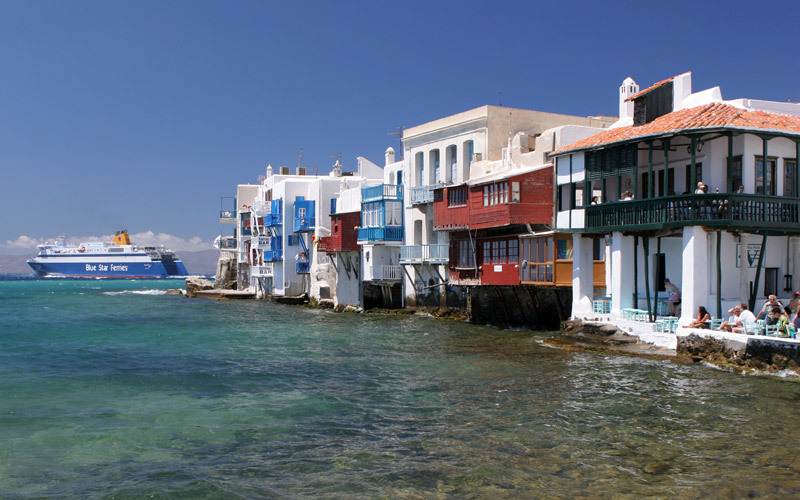 Despite the geographical unity of the region, Cyclades are culturally diverse; each island is known for different features, including landscape and other distinct attractions, hence they are popular to a great variety of visitors. The most common and economicalway to travel is by ferry boat from Pireasharbor (cheapestfare by Metro from the Athens centre and bus from the Athens airport). 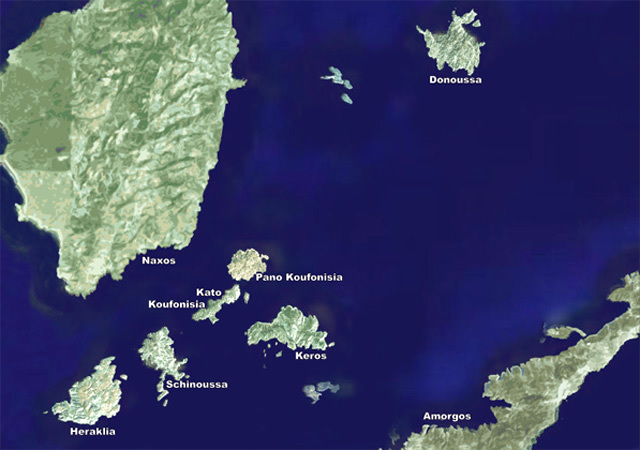 All islands except Andros can be reached by a Pireasferry, the islands of Paros and Naxos being main transfer points to other islands (Delos is reachable via Mykonos). For Andros (and for an alternative way to Tinos and Mykonos) take the “KTEL Attikis – Rafina” coach to the smaller Rafina harbor, coach terminal on Mavromateonst.near “Victoria” Metro stop in the Athens centre (there’s an Airport – Rafinaline by the same KTEL Coaches). 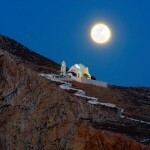 If travelling around summertime public holidays (Holy Ghost Day – for 2012 on June 4th – and St. Mary’s Day August 15th) try to book your tickets a few weeks in advance. Same applies for destinations close to Athens (Kythnos, Andros, Kea), popular all summer long during weekends. 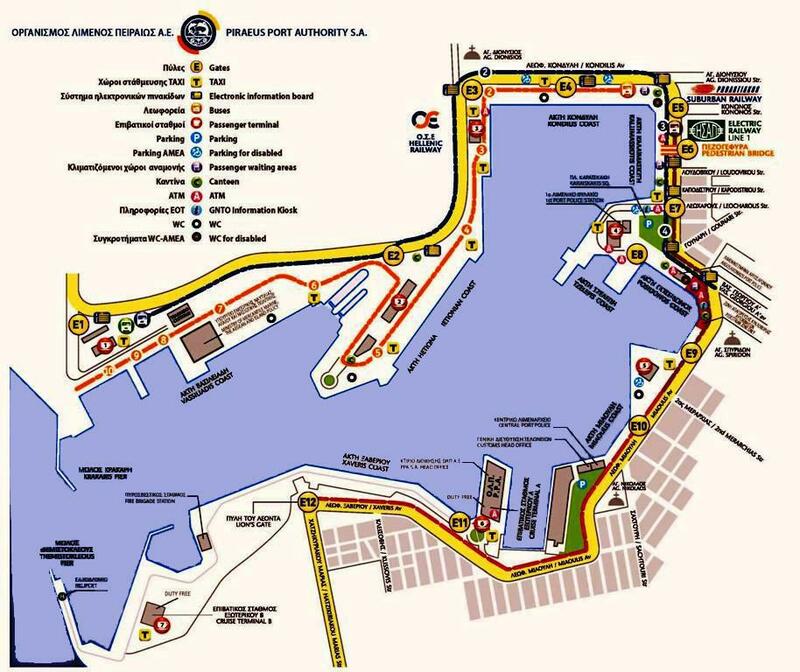 It is easy to find your way around in small Rafina harbor. 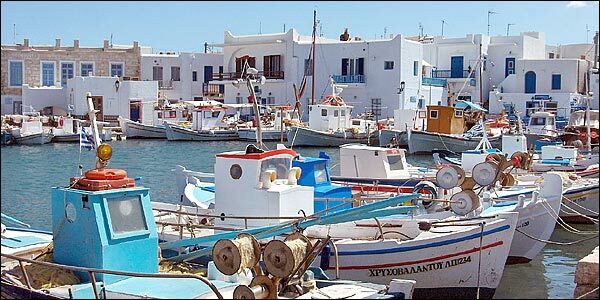 But Pireasis the biggest and busiest harbor in Greece;note that boats to Cyclades depart from Gates E6, E7, E9 and E10 and the respective gate should be inscribed on your ticket. Gates roughly correspond to the type of boat you chose (regular ferry, high-speed, catamaran) belonging to different shipping companies. In case you are not in a hurry, regular ferry travel (deck) is advisable. In Pireasdocks there are 11air-conditioned waiting rooms and terminals for the hot summer months with public cold-water fountains. Pireas Metro terminal (“Electric Railway” – line 1) is situated at the centre of the harbor, opposite Gate E6. When ferry-crossing the Aegean, the tip is to stay on the decks and not inside the cabins, noisy salons or narrow Pullman chairs.Let the cool salty breeze get you, check out the azure waters changing into frothy white. 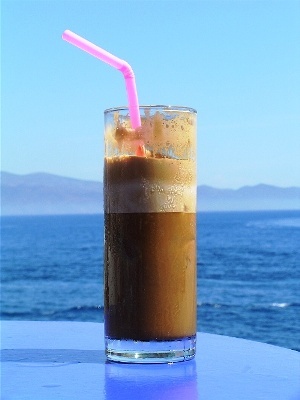 Get yourself a frappe (iced, shaken instant coffee) or a latest obsession, the “espresso freddo” (or “cappuccino freddo”, cinnamon powder topping if desired) – the way to go local is choosing iced-cold refreshments in summertime. Sunblock, wind-resistanthat and a jacket are advisable for both journey and islands. Greeks prefershadier sitting places (sunbathing on a windy deck can lead to nasty sunburn, so better avoid it). To secure the ideal sitting spot you may have to board 1 hour early (depending on the season). 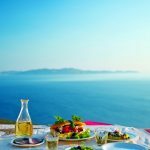 With the sound of the departure signal people will be starting to queue at the canteen – as the philosophical concept of “queuing” in Greece is relative, to say the least, try to be patient and chosea moment when the queue gets shorter. 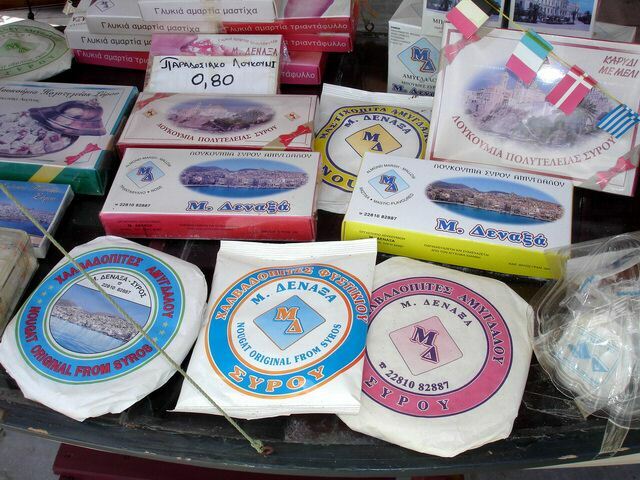 Greeks tend to consume a wide variety of snacks all through the journey and especially“tyropita” (cheese pie), the fashionable-soundingone with the “Four Cheeses” being just one of an ample choice. Notice (or join) thelocal wayof ferry traveling,lying feet-up on some twoor more deck chairs each,plus one to place the frappe and backgammon (tavli). You might get seriously nagged at during busy dayswhen chairs become precious (or might not). It’s easy to strike a conversation if you feel comfortable enough; usually Greek passengers know useful details about the islands (a lot originate from there). Also, it is fun to get gossip updates on the rich and famous visiting Cyclades each year. 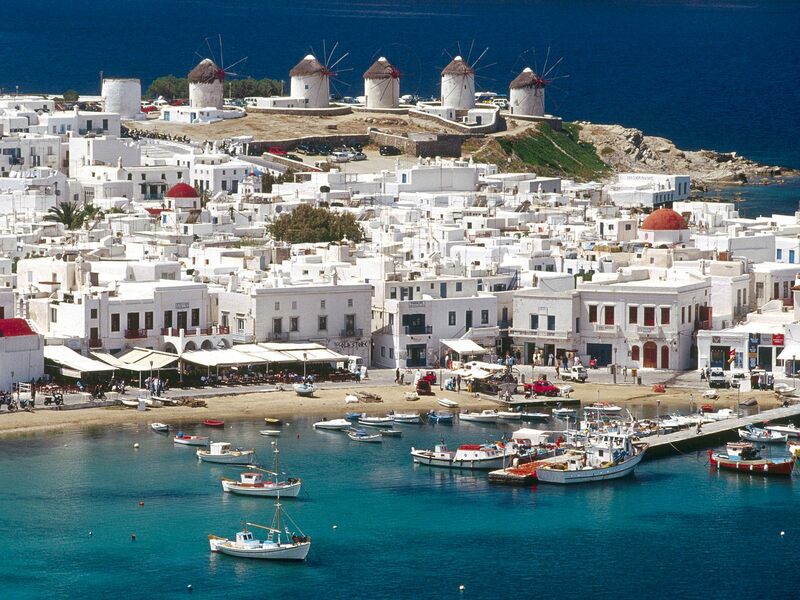 The Brandgelinas go Santorini, Tom Hanks to Antiparos but these are just the standards (borrow a magazine). Last but not least, if curious, ask them to interpret the lyrics of the oriental-pop hits playing incessantly on loudspeakers (some verge on surreal, you’ll be surprised). The exit from Pireas/Saronic Gulf to the greater Aegean is marked by Cape Sounio. Apollo’s Templeat the edge of the cape is visible by boat. It is known that the Aegean Sea got its name from Aegeas, mythological King of Athens, who tragically jumped off Sounio to the sea in mourning for his son.Yet modern Greeks get quite romantic and you’ll see couples hugging and trying to spot the Temple, lovely at all hours. Don’t miss your chance. A bit before reaching Cycladesregion you will cross the inevitable CavoD’Oro (Venetian for “Golden Cape”), a location of strong currents: don’t worry,boats will rock for just a few moments.“We passed the CavoD’Oro” is a Greek expression that means our troubles are (if only temporarily) over –and we’re really off to the islands! 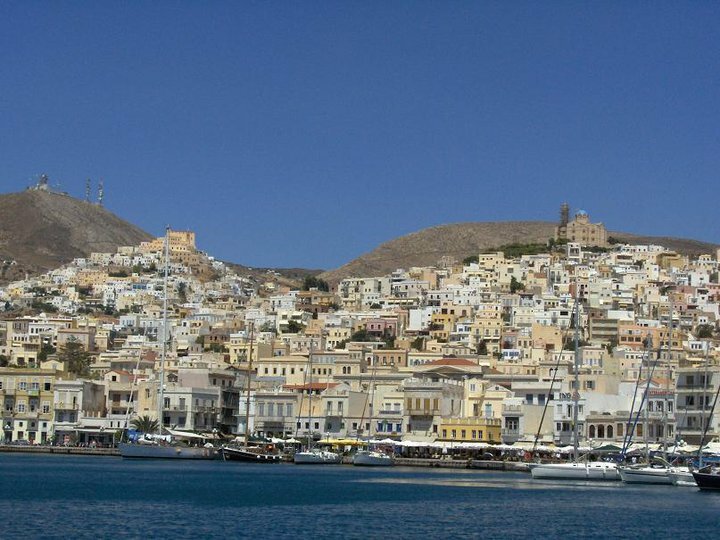 In case of travelling to or via Syros (a common itinerary stop-over) don’t miss the deck view over neo-classical 19th century Ermoupolis, the Cyclades capital citywith the medieval borough of AnoSyravisiblebeyond. Representative of the double cultural identity of the Cyclades are the cathedrals of Orthodox and Roman Catholic denominations, one on each hill, overlooking the city.More importantly in Syros, Tinos, Naxos, Mykonos and Santorini the Orthodox and Catholic traditions coexist since 13th c. A.D. Sometimes (more rarely in our days), bright flashes of light appear from unsuspected island coasts before even the boat reaches a harbor. It is an old Aegean custom to say “welcome” to the approaching ship, using a mirror to reflect sunlight. 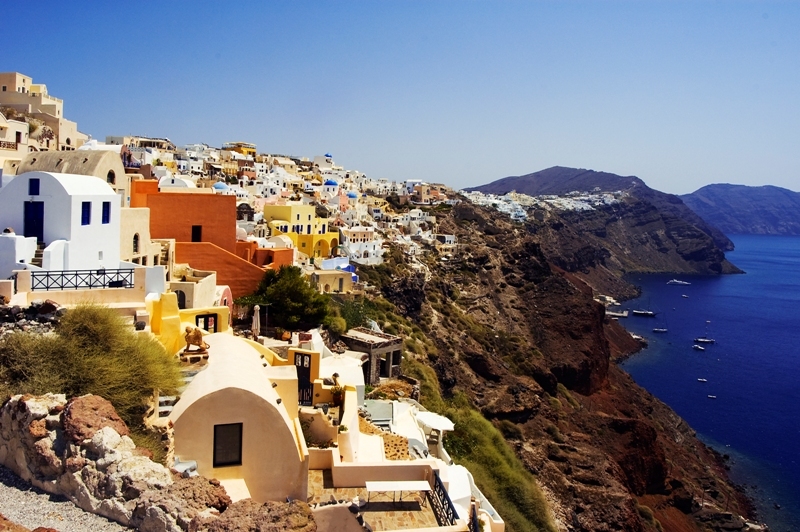 The spectacular volcanic island of Santorini with its steep cliff side (Caldera) cut off in half and crumbled into the seais intimidating enough if you are a V.I.P.and reach it via Caldera itself (only for luxury cruise-ship passengers). For common mortals, the harbor of Athinios is the regular docking point, reminding of an entrance to Alcatraz prison with its bold and grey rocky façade. Luckily, there are incredible beauties in this island guaranteed to compensate you for the eerie entrance (e.g. 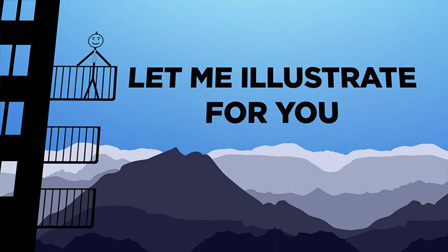 see cover photo). 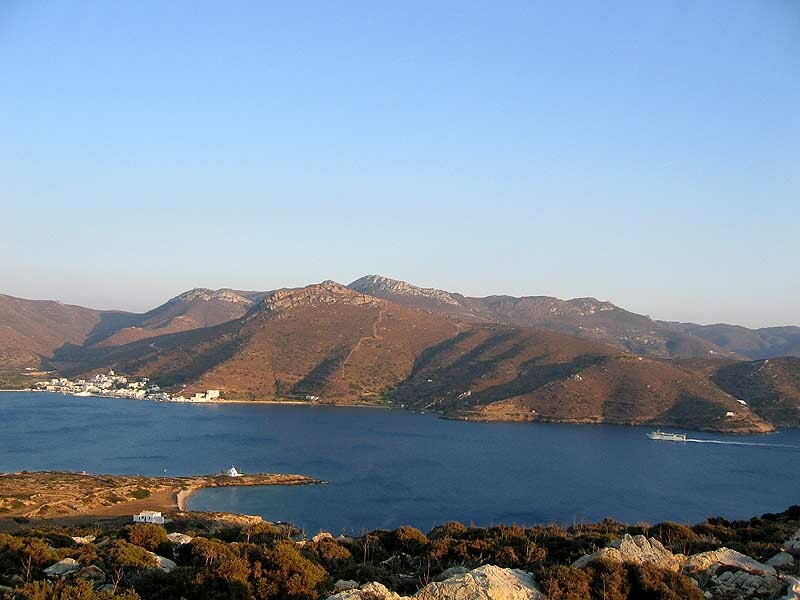 A humble boat connecting year-round from Amorgos (Katapola harbor)to Naxos and the various (and hip) Small Cyclades, “Skopelitis” has become so legendary that entered Greek literature and songwriting. Many would insist that “Skopelitis”rockshard even at 2 Beaufort wind-scale (=calm seas), but even when the wind reaches 9 B. you can be sure you’re safe (if not an experienced mariner, keep Dramamines close at hand). More cult than the boat itself is themain man behind this line. 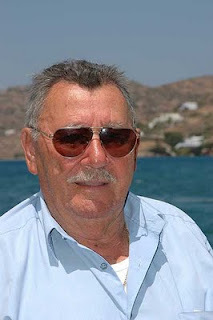 Captain Mitsos Skopelitis, former sailor, also a fisherman and a folk music violinist; you’ll see him around, even though the line is currently managed by his son, Captain Yiannis. His ancestry includes a contraband dealer hunted down in 19th century and escaping to Small Cyclades from the island of Skopelos (hence the nick-name). The line (est. 1958) is older than today’s boatand has the capacity to carry 350 passengers and 12 cars. You’ll see “queuing-impaired” passengersenter a frantic state to get out as if the islands will not wait up. 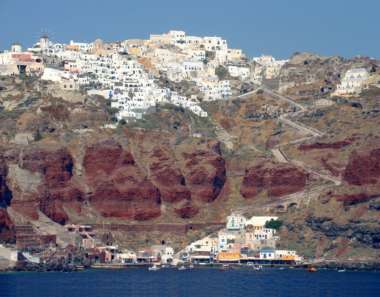 But we can join the relaxed bunch.The islands have stayedfirmly in place for millennia –exceptfor Delos (Mythology), Milos (Prehistory) Santorini (around 1.500 B.C. 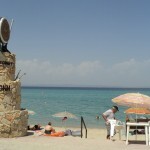 and the 1950’s) and the frenzy clubs ofMykonos (any time soon – just kidding!). Do keep alert when calls for boarding off vehicles are announced shortly before docking (you have to drive yours out of the garage, obviously). In larger ferry boats the comfortable escalator that had lifted passengers up to the salons willnotbe working downwards (one of the unsolved mysteries of the Universe), so always travel as light as you can. In case of extra-heavy luggage there are usually (extra charge) storage racks at garage-level. The ship’s gate slowly opens while wetry to showour good manners queuing up… there’sourdestinationrevealed!